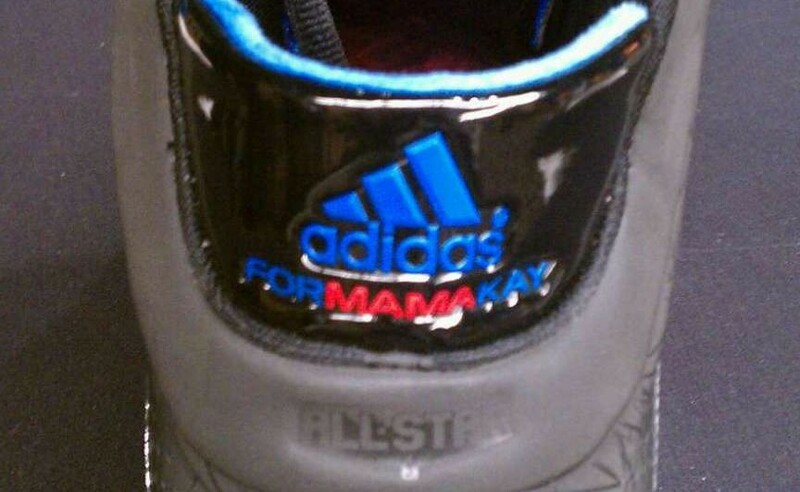 Dwight salutes a fallen friend on the back of his All-Star sneakers. 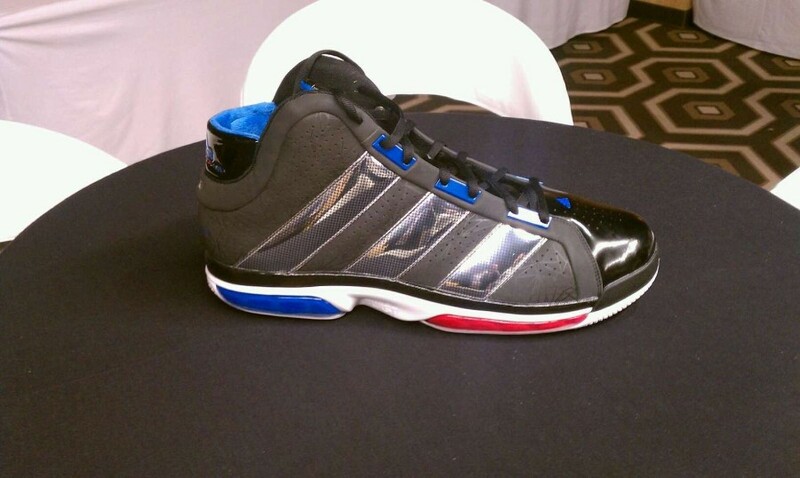 Yesterday, we took an in depth look at the Dwight Howard All-Star Superbeast that is currently available to purchase. However, the pair "Superman" actually wore during the game slightly differed from the generally released version, paying homage to a close friend of his that recently passed away. As you see, the shoe sports most of the same features as the pair that hit stores, outside of the fact that it's double the size that most of us wear. What's different about this pair is the callout on the heel, which reads "FORMAMAKAY." 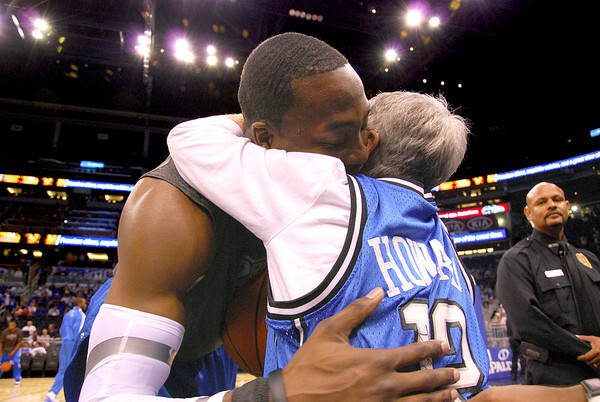 If you're unfamiliar with Mama Kay, Key Kellogg, she was a die-hard Orlando Magic fan who absolutely loved Dwight Howard. She attended Magic home games and was described as one of the most supportive fans in the entire arena. 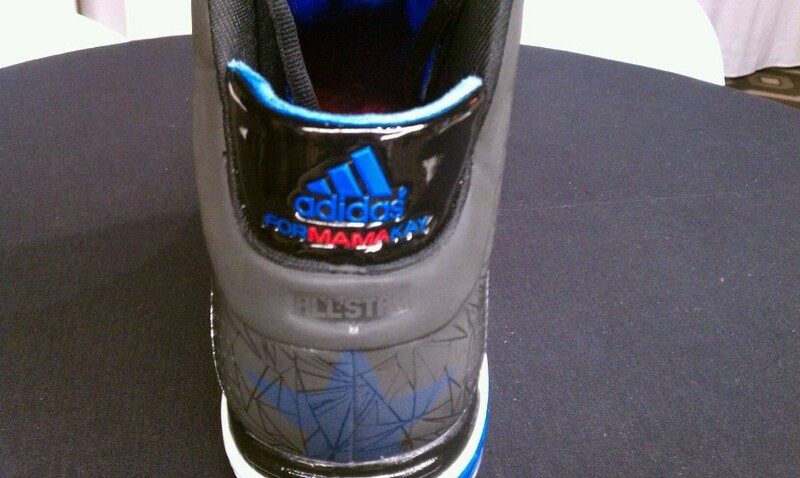 Dwight now has "FORMAMAKAY" on every pair of his game shoes, including the shoes he wore in the All-Star Game.